Artificial Turf Attachment - Reach It! - Move It! - Crush It! The artificial turf maintenance attachment is made for professionals. It cleans, filters & returns the infill in a single pass. 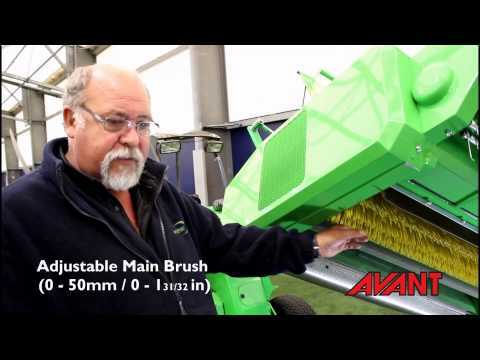 The fully hydraulic system powered with Avant performs the cleaning tasks efficiently, economically and with very low impact footprint in all artificial surfaces.The regular cleaning and maintaining of the artificial surfaces reduces compaction and sustains the optimum surface conditions and playing dynamics year-around. Well maintained sport surfaces also reduce the risk of acute and chronic injuries.